UNIDO Egypt under the framework of “The Egyptian Cotton Project” celebrates young fashion designers who’ve successfully completed the “Sustainable Fashion Design” workshop series delivered under the framework of the project, by Italian Fashion Designer Marina Spadafora, in cooperation with the Fashion & Design Center -FDC- of The Egyptian Ministry of Trade and Industry. The Fashion Exhibition will showcase the young designers final capsule collection designed and executed using #sustainable fabrics and methods throughout the workshop. 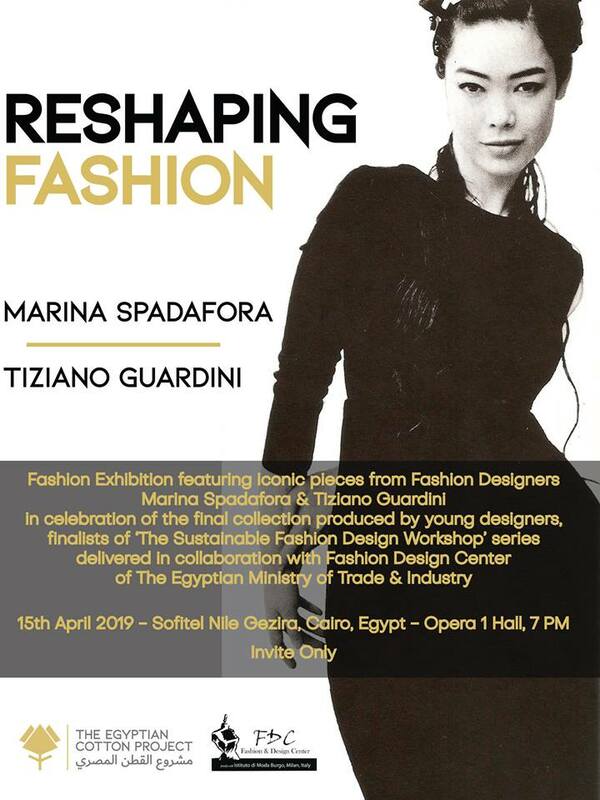 The exhibition will be supported by display of iconic pieces by Italian Fashion Designers Marina Spadafora and Tiziano Guardini, known for their ethical and sustainable fashion design practices.